Why book your Group with Oasis Hostels? Our small dedicated “Oasis Groupies” team is here to take the stress out of making a group booking. We can specially tailor accommodation and services that are prefect for you and your group. Whether you are a university group, Sports group, or just a large bunch of people that would rather spend time enjoining one of our cities rather than worrying about every little detail, then Oasis Hostel Groups is perfect for you. 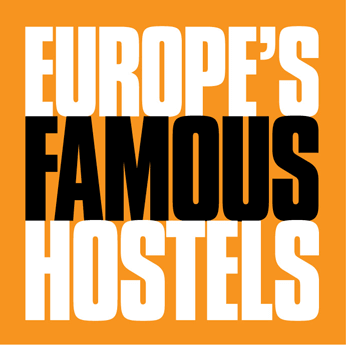 Oasis Hostels can be found in cities across the Spain and Portugal. Whether your group wants to ski the Sierra Nevadas in Granada, Explore Spain from Romantic Toledo, Surf the waves of Portugal while staying in Lisbon, catch some some one one of Malaga’s beaches, or take up flammenco dancing in Seville our Group reservations team will help make sure your group is concentrated on having fun rather than worrying about every little detail. Are you a Group or FIT Agent interested in working with Oasis Backpackers Hostels – as a fun, safe and affordable option for you customers? If so we would love to meet you and work together to provide the best product possible. We have a dedicated reservations team who can help you with any booking queries and because our staff have years of experience in the Travel, Tour Operations and Backpacking industry, we can help with almost anything. All rooms are clean, safe and secure with electronic access. There are multiple showers and toilets on every floor of every hostel and a number of en-suites are available. We have loubges and internet areas designed for sociallizing or relaxing, internet access, music and much more. Breakfast is included in the price of the bed. There’s no curfew, no lockout and you have 24-hour access to the rooms.